The analysis of vibratory signals is an important subject in the field of researches on the diagnosis of mechanical breakdowns in rotating machinery. A number of signal processing methods are classified as classical tools, such as statistical analysis, FFT, envelope analysis (EA), and some time-frequency methods such as wavelet multi-resolution analysis (WMRA). These methods have shown their limitations when it is desired to analyze non-stationary and non-linear signals. In this paper, we introduce an advanced signal processing method, called cyclostationary analysis, which is probably one of the most recent tools used in vibratory diagnosis, especially in the case of non-stationary running conditions. A comparative study between five different methods and the cyclostationarity analysis is first conducted, choosing as criteria the advantages, disadvantages, and their contributions to the detection of mechanical defects. This comparative study is carried out on vibratory signals measured on defective rolling bearings kindly provided by the Bearing Data Center. In response to the request of a great industrial group, the cyclostationarity is used to analyze vibratory signals measured on a turbo-alternator working in real conditions. 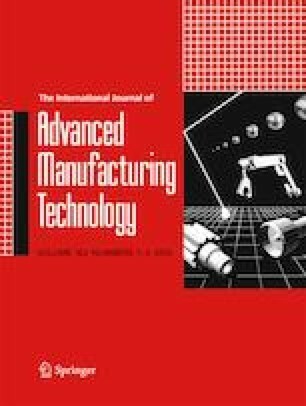 The experimental results obtained from this study confirm the ability of the proposed methodology to diagnose real mechanical defects in an industrial environment, in comparison with the results obtained by the application of the other classical methods mentioned previously. This study was conducted in Mechanics and Structure Research Laboratory (LMS) at the University of Guelma, Algeria. The authors wish to thank Case Western Reserve University, USA, for providing free and open access to their website. The authors would like to thank also the Algerian Company of Fertilizers FERTIAL for its help, support, and interest.